Last year, ultrarunner Karl Meltzer set a new record for the fastest time on the Appalachian Trail, covering the full 2190 mile (3524 km) distance in 45 days, 22 hours, and 38 minutes. That's averaging roughly 48 miles per day for those keeping tack at home. Now, a full-length documentary film about his experience is about to be released, and we have the trailer for it below. This just gives you a glimpse of what to expect from the film, which his entitled Karl Meltzer: Made to be Broken. The doc will officially debut next Thursday, April 13. But you can find out more about Karl, this tremendous achievement, and the film itself by visiting its official website. It looks amazing and I can't wait to watch the full thing. The Ultra-Trail du Mont-Blanc is considered one of the toughest trail running events in the entire world, drawing hundreds of competitors from across the globe on an annual basis. In this fantastic short documentary we get an inside look at that race courtesy of our friends at Columbia Sportswear and Teton Gravity Research. As with most long-distance endurance events, the race is a blend of agony and joy, with runners pushing themselves to their absolute physical limits over the course of the 103-mile (165 km) route. Along the way they pass through three different countries – France, Italy and Switzerland – as they take on some of the toughest and most beautiful terrain the Europe has to offer. Definitely not for the faint of heart. This past fall, Spanish mountain runner Kilian Jornet traveled to the North Side of Everest to attempt to set a new speed record on that mountain. Those efforts were thwarted early on due to horrible weather conditions, and Jornet pulled the plug on that attempt, vowing to return at a later date. Now, we know when he'll be back and what his plans are for the year ahead. According to reports, Jornet will now travel to the Himalaya this spring where he will move ahead with plans to climb and descend the world's highest peak in under 24 hours. Apparently he was having difficulty obtaining permits to return in the fall, so has elected to give it a go during the busy spring season instead. How this will impact his approach to the climb remains to be seen. During the autumn Himalayan climbing season, Everest is all but abandoned making it much easier for Jornet to use his now-famous fast and light style. But during the pre-monsoon season, he'll have to contend with other climbers that will be along the route too. Presumably he'll be making his record-setting attempt from the North Side in Tibet once again, as the crowds are usually much lighter from that side of the hill. He will acclimatize in Nepal before hand however before heading to the mountain. Everest is the final stage of Jornet's Summits of My Life project, which has seen him set speed records on peaks all over the world, including Kilimanjaro, Aconcagua, and Denali. He hopes to complete that pursuit by adding one more record to his resume. In addition to tackling Everest in the spring, Jornet has also signed up to compete in a host of ultra events, including the Mont Blanc Marathon in June, the HardRock in Colorado in July, and Ultra-Trail du Mont-Blanc in September, amongst others. This being Kilian, he also plans to attempt to set a new speed record for running a tough route through the Lake District in the U.K. as well. The path covers 119 km (73 miles) and feature 43 hills with a combined elevation gain of 8700 meters (28,543 ft). The current record for the route stands at 13 hours and 53 minutes and was set back in 1982. That makes it ripe for being beat. Of course, Jornet is likely to show up in a few other events and projects as well. As usual, we'll be following his exploits closely. Especially as he prepares for Everest. Two ultrarunners are about to embark on a challenge expedition through the Canadian Arctic to celebrate Canada's 150th birthday. Today, ultrarunners Ray Zahab and Stefano Gregoretti set out on an adventure that will take them through three separate regions of the country, covering approximately 1000 km (621 miles) during the coldest, harshest conditions of the year. Dubbed the Arctic Extreme Expedition, the two men will begin their journey in the Torngat Mountains of northern Labrador and Quebec, where they will traverse this amazing landscape – Canada's newest national park – on foot. The endurance runners will be running and fast packing their way through the wilderness, hauling all of their needed supplies behind them on sleds as they go. Along the way, they'll face Canada's brutal winter weather conditions, snow, winds, cold temperatures, and perhaps the occasional polar bear. From here, Ray and Stefano will head to Unavut to traverse Baffin Island on skis. Once again, they'll carry their gear behind them on sleds, hauling all of their needed equipment and supplies with them as they go. During the heart of the winter, they'll face extreme weather once again, as well as very long nights and incredibly short days as they traverse one of the most remote and rugged places imaginable. For stage three of the expedition, the two men will head to the Northwest Territories where they'll ride the length of the Arctic Ice Road on custom made fat bikes. During that stage of the journey they expect to face temperatures as cold at -60ºC/-76ºF as they travel along on a route covered in ice that will require studded tires just to keep them upright. 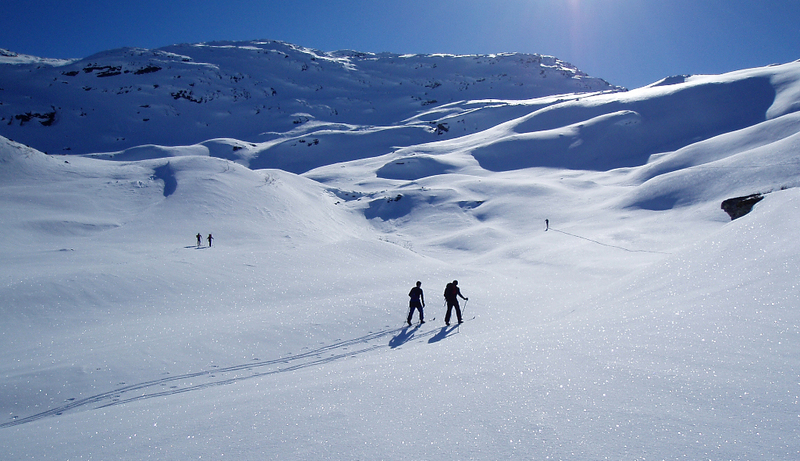 The expedition is set to get underway today – Feb 1 – with Ray and Stefano hitting the trail this morning. You'll be able to follow their progress – which will include live updates most days – on the team's official website for this adventure. If you like to follow challenging expeditions through extremely cold places, you won't want to miss this one. Exactly What is the Toughest Outdoor Sport? Have you ever wondered what the toughest outdoor sport is? Outside magazine did and put that question to some experts to find out. The results might surprise you, but you'll discover exactly which activities but the most demands on your body, and what some well known outdoor athletes consider the most grueling activities. In this article, Outside compares rock climbing, downhill mountain biking, ultrarunning, open water swimming, and nordic skiing to one another in terms of calories burned per hour, as well as injury rate and fatality rates. Using those statistics, they then analyzed each of the activities and spoke with experts on the sports to determine which ones are the most demanding. In terms of calories burned per hour, those sports ranked in ascending order as downhill mountain biking (632/hr), ultrarunning (768/hr), rock climbing (818/hr), nordic skiing (952/hr), and open water swimming (957/hr). This gives you a bit of an idea of how much energy you expend while doing each of these activities on a high level. It explains why these athletes are in such impressive shape too. Burning those levels of calories on an hourly basis is intense, particularly when done for an extended period of time. I can tell you that when I go on one of my longer runs (10-15 miles) on a weekend, I ended up being hungry the rest of the day. So just which of these sports was deemed the most difficult? According to Outside nordic skiing takes the crown because it requires strength, stamina, speed, and a level of cardio performance too. Next up, was rock climbing in no small part because of the technical skills required, followed by open water swimming and downhill mountain biking. Ultrarunning came in last of the five sports listed, although everyone involved with the article admitted that it is still an incredibly tough and demanding sport too. What do you think? Did Outside get it right? Which of these sports do you think is the hardest? Is there one that didn't make the list that deserves a mention? The Japanese practice of Shugendo is a spiritual practice of seeking a connection with nature, particularly in the mountains where Japan's forefathers believed their gods resided. This connection can bring on a zen-like state, with the person seeking a oneness with the natural world around them. In this video, Salomon athletes Rickey Gates and Anna Frost make the journey to Japan in search of their own unique connection with the natural world. As you'll see in the video below, what they find there is a powerful attachment to nature that is unlike anything found in other cultures. Be sure to turn on subtitles to get the entire story. Endurance Athlete Sets New Record for Running Across the U.S.
Ultrarunner Pete Kostelnick has set a new speed record for running across the U.S., smashing the previous mark that had been in place for more than 36 years. The endurance athlete arrived in New York City on Monday of this week, bringing an end to his six-week odyssey that began in San Francisco back on September 12. Officially, Kostelnick covered the 3067 mile (4935 km) distance between San Francisco and New York in 42 days, 6 hours, and 30 minutes. That beats the old record – set by Frank Giannino Jr. back in 1980 – by 4 days, 2 hours, and six minutes. That means that he had to average more than 72 miles per day – every day – to set the new mark. While in the midst of this record setting run, Kostelnick set a brutal schedule for himself. He would sleep in a support vehicle until 3 AM, then run 40 miles (64 km) over the course of 7 or 8 hours. He would then take a break to refuel and rehydrate at lunch, before hitting the road once again. The second leg of his daily mileage would usually be another 30+ miles (48 km). Only twice throughout the course of the journey did he fail to hit the 70 mile mark on any given day. He also took one full rest day along the way too. And on his final push into New Your City, he ran 87 miles (140 km) nonstop. Kostelnick is no stranger to difficult runs, although he's never done anything like this one before. He is a two-time winner of the Badwater Ultra however, and holds the course record for that event at 21 hours, 56 minutes, and 32 seconds. That is a brutal race of course, but not much can compare to the daily grind of a transcontinental run like the one he just finished. Congrats to Pete on amazing job. Breaking a 35+ year old record is never easy, and he just lowered the mark to a point that it could take another 35 years before someone else gets close. The stunning landscapes of American southwest take center stage in this beautiful video that follows ultrarunners Rickey Gates and Dakota Jones as they head into the canyons of "Nowhere, Utah" to explore the amazing topography that is found there. Traveling on foot and by raft, the two men discover a vast wilderness that is simply breathtaking to behold. This is another great video from the team a Salomon, who have been knocking it out of the park with their clips recently. I hope you enjoy. The Hardrock 100 is considered one of the toughest ultramarathons on Earth. Held each summer in the San Juan Mountains of Colorado, it challenges endurance athletes to cover 100 very tough miles (160 km) as quickly as they can. It is a difficult trail to run, even in the best of conditions, and no one has ever attempted to cross it in the winter. That is, until now. In this short documentary film we join ultrarunner Jason Schlarb as he attempts that very thing. In brutal conditions he sets off to test himself on the Hardrock trail in January, when swirling winds, deep snow, and cold temperatures are at their worst. Does he make it? You'll just have to watch the video below to find out. Skiing the Hardrock 100 from Schlarb-Wolf Productions on Vimeo. Last week while I was away, the news broke that ultra-runner Karl Meltzer had broken the record for the fastest time on the Appalachian Trail, besting the time set by Scott Jurek just last year. The two top endurance athletes are both friends and rivals, so naturally they would compete against each other on the AT too. This was Meltzer's third attempt at a record, and this time he finished at 45 days, 22 hours, 38 minutes, which put him roughly at 13 hours ahead of Jurek. According to Outside, Meltzer began his assault on the record book back on August 3, starting on top of Mt. Katahdin in Maine. That's the northernmost terminus of the Appalachian Trail, which stretches for 2190 miles across 14 states before ending on Springer Mountain in Georgia on September 20. That means that Karl had to average roughly 47.6 miles each and every day just to get into the conversation with Jurek, something he was able to do on his way to setting the new mark. Amongst ultra-runners, Meltzer is considered one of the most successful endurance athletes of all time. Over the course of his career he has racked up more than 38 wins in races of 100 mile (160 km) distances or longer – including 5 in the legendary Hardrock 100 ultra-marathon. That's more than anyone else in history. Still, he did want to take on the AT and nab that record too, something he was finally able to do last week. Considering that it takes most of us a good six months of hiking to complete the AT, doing it in just 45 days is quite an impressive feat. Congratulations to Karl on pulling off this accomplishment. I am in awe of the strength, stamina, and speed necessary to set this kind of record. Yesterday the news broke that Kilian Jornet has abandoned his plans to make a speed attempt on Mt. Everest due to very poor weather conditions on the mountain. Deep snow made him cancel that attempt, but while his dream of a speed ascent may have been postponed, they are no over. 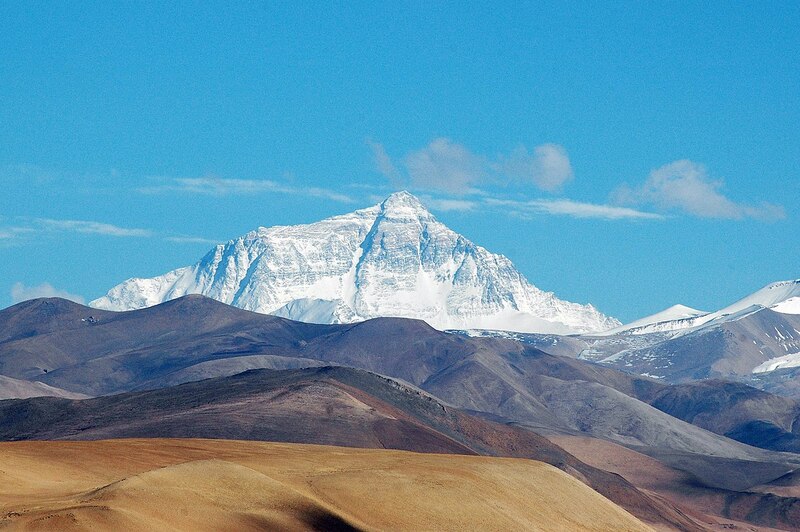 Clearly he will return again in the future to have another go at the world's highest peak. In this video we get a bit of a recap of what Kilian has been up to over the past couple of years. It is a review of his Summits of My Life project to date, with a bit of inspiration to help us all move forward. It is a nice tribute to one of the greatest mountain athletes on the planet today, and definitely worth a look for those who follow his exploits. And now for your daily dose of inspiration. In this amazing video, we meet 72-year old ultrarunner Wally Hesseltine, who set out to not only run a 100-mile (160 km) race, but perhaps the best known ultramarathon of them all – the famed Western States 100. He managed to finish that epic run in 30 hours, but that isn't the entire story. Watch the short film below and then go put on your running shoes. Amazing. One of the current Himalayan expeditions that we've been watching closely has come to an end before it ever even had a chance to really get started. It was announced earlier today that Spanish ultrarunner Kilian Jornet has pulled the plug on his attempt at a speed record on Everest due to poor weather on the North Side of the mountain. Apparently, the expedition was actually nearing its conclusion when the decision was made to go home instead. There hasn't been a lot of news from Kilian or his team, but it seems acclimatization was going very well, and he was extremely happy with his progress. Unfortunately, heavy snow has been falling on the mountain over the past couple of weeks, and that was making the route much more dangerous. So much so that they made the wise choice of cancelling the summit attempt and going home instead. Kilian says that he has learned a lot from the experience and will now return to Spain where he'll evaluate how this expedition went, and decide from there how to proceed. He has already indicated that next time around he'll do a few things differently both in preparation and acclimatization once on the mountain. He had spent three weeks training at 6500 meters (21,325 ft) which will give him a better understanding of the Everest environment the next time around. Honestly, an attempt in the spring would probably provide more stable weather conditions, but Kilian would then have to contend with a lot more people on the mountain. For most of the time that he was there, he had Base Camp all to himself. We do know that Japanese climber Nobukazu Kuriki is also there for a solo bid on the mountain, but he didn't arrive until last week. It is unclear whether or not the heavy snow will impact his attempt to summit Everest, which will be his sixth time trying to accomplish that feat. For now, we'll have to wait to see how Kilian does on Everest. Remember, he's never climbed an 8000 meter peak before. Hopefully he'll get another crack at it in the future. It will be interesting to see what an athlete of his caliber can accomplish there. 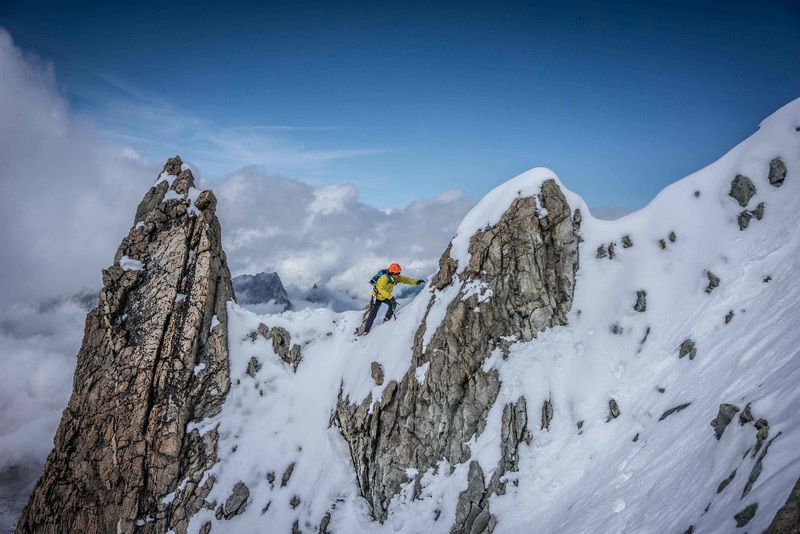 We're back on a regular posting schedule for a few weeks after my recent visit to Quebec, and we have news from the Himalaya about Kilian Jornet's speed attempt on Everest. This expedition will be the last of his "Summits of My Life" project, which has also resulted in new records for the fastest known times on other major peaks, including Kilimanjaro, Aconcagua, and Denali. If you've been following Kilian's progress at all, you probably know that he left for the Himalaya a few weeks back where he has been organizing gear, continuing his training, and acclimatizing to the altitude. But, we also have a few more specifics about his schedule over the past few days. Last Tuesday, Kilian flew from Kathmandu to Lhasa in Tibet. He spent a day there before starting the drive to Everest Base Camp, which is accessible by car on the North Side of the mountain. But, it is still a dramatic gain in altitude during that drive, so most people still go slow, and take a few days to reach BC, allowing their bodies to acclimatize a bit along the way. With that in mind, the Spanish ultrarunner has been working out along the way. Over the weekend, he was in Tingri at 4300 meters (14,107 ft) where Kilian conducted some training runs. That's an altitude he's accustomed to, having spent the last few years making the Alps of Europe his personal playground. He also spent a good deal of time there training before leaving for the Himalaya. It isn't clear yet just when Kilian and his team will arrive in Base Camp, but I would expect that that will happen this week. From there, the plan is to acclimate to higher altitudes before getting ready to make his historic attempt on the summit of Everest. We're still a few weeks away from that happening, but it certainly should be interesting to follow his preparation for the final push to the top. Especially when you keep in mind that this will be his first foray above 8000 meters. Kilian's approach to the speed attempt has been a simple one. Get to the mountain while it is still summer, before there is anyone else attempting to climb it in the fall. This will ensure that the route is free from crowds that could potentially low him down. Taking one of the routes on the North Side should help keep the still on-going monsoons at bay to a degree as well, although it still could be dicey up on top. He'll now focus solely on acclimatizing and scouting the route until he is fully ready to go. From there, it will be a simple matter of waiting for the weather to cooperate and then choosing the best time to go. For now, we all wait for that to happen. It is extremely early to begin reporting on the Fall 2016 climbing season in the Himalaya, but of course everyone is eager to hear news of the progress of Kilian Jornet as he prepares to make an attempt at the speed record on Mt. Everest. We won't have long to wait to get updates however, as the Spanish ultra-runner has already departed for Kathmandu and is now putting the finishing touches on his preparation there. Kilian has gone to the Himalaya early in order to avoid any other teams who potentially could be on the mountain. He'll be making his speed attempt from the North Side in Tibet, although exactly which route he'll use remains to be seen. Some of the preliminary work of the trip will be to scout the trails and determine which one will best suit his needs. He'll also wrap up his acclimatization efforts and keep an eye on the weather for the best summit days too. Although of that is still a few weeks off however, as Jornet only left for Nepal late last week. He'll spend some time getting organized and rested before making the journey to Tibet and Everest itself, where he'll then get comfortable in Base Camp before the real work begins. I would expect that we'll begin seeing more updates later in the week as he starts the process of getting accustomed to the high altitude. Prior to setting out for the Himalaya the endurance athlete was focused on acclimatizing in the Alps. The video below gives you an idea of how that training went and the efforts that were made to prepare for Everest prior to leaving. As you would expect, Kilian used Mont Blanc as his training ground, although it is less than half the height of Everest. It will be interesting to see how Jornet does in his quest for yet another speed record. He has yet to climb above 8000 meters (26,246 ft) in his career, and what that will be like for him will be crucial. We'll keep a close eye on his progress and post updates regularly in the days ahead. This expedition will truly be exciting to follow. We've known that it was coming for some time, but today Spanish ultrarunner/mountaineer Kilian Jornet has officially announced his attempt to set a new speed record (Fast Known Time (FKT) in his parlance) on the world's highest peak, Mt. Everest. And as usual, he'll be making the attempt in his own unique, unorthodox, and challenging way. In a press release sent out this morning, Jornet says that he'll be making the climb throughout August and September. But prior to leaving for the Himalaya, he'll first begin to acclimatize in the Alps closer to home. For the next few weeks, Kilian and his support team will live and train in the European mountains as they begin to get their bodies ready for the demands that they'll face once they head to Tibet. The plan is to attempt to summit Everest from the North Side, along a route that sees little traffic. The exact route hasn't been made clear yet, as the intention is to scout the mountain once they are there. What they find on the slopes of the mountain will ultimately decide which way he will go to the top. The final summit push will begin at Rongbuk monastery and will continue all the way to the top of Everest, and then back down again. In all, Kilian will have to run about 30 km (18.6 miles), which is a short distance for a man who is use to competing in 100 mile (160 km) long races. But, he has never tested himself at such high altitudes before, so it is unclear how his body will respond. This will be the Spaniard's first attempt at an 8000-meter peak, but despite that he still intends to have a go at the FKT in alpine style and without the use of bottled oxygen. Additionally, one has to wonder how much of an impact acclimatizing in the Alps will have on his progress. The highest peak in that mountain range is Mont Blanc, which stands 4810 m (15,781 ft) in height. That is not insignificant of course, but it is not even the same height as Base Camp on Everest. In other words, he'll still have a lot of work to do once he arrives in the Himalaya. Right now, the plan is to depart Europe on August 7 to start the expedition. Kilian and his crew will then spend the next eight weeks prepping and planning for the run. Will he be able to set a new speed record on the highest mountain on the planet? Only time will tell, but I wouldn't doubt the man who set speed records on other mountains like Mont Blanc, Aconcagua, Denali, and Kilimanjaro. Still, Everest is an entirely different beast, and it will be interesting to watch this all unfold. It was a busy time while I was away in Utah attending PressCamp last week, with one of the big stories coming from the world of long distance running. Over the past month or so, we've been following British ultrarunner Robert Young as he attempted to set a new speed record for crossing the U.S. on foot. But last week, the grind of that endeavor finally caught up with the endurance athlete, forcing him to withdraw from the attempt 2000 miles (3218 km) into the run. Young launched his bid at the speed record – which was set back in 1980 and still stands at 46 days, 8 hours, 36 minutes – back on May 14. He set out from Huntington Beach in California with the hope of reaching Times Square in the fastest time possible. In order to break that 36 year old record, Young would need to cover more than 60 miles per day, each and every day, for a month and a half. Last week, the grind of that challenge finally caught up to him. While heading into Indianapolis, the British runner developed soreness in one of the toes of his right foot. X-rays confirmed that he had developed an infection and a fracture. Young was treated by medical professionals, and attempted to use ice to lessen the pain, but in the end, he decided it was best to pull the plug altogether. The move comes after Young began to fall off the pace needed to cross the U.S. in record time. The toll of the run seemed to wear on him in recent days, even as some questions arose about whether or not he was actually running all the miles he claimed to be. That question is now moot, as the speed crossing attempt is now over. Covering 2000 miles on foot is certainly nothing to sneeze at. Young was able to cross California, Nevada, Arizona, New Mexico, Colorado, Kansas, Illinois, and part of Indiana before he was forced to withdraw. That's pretty impressive, even if he did come up a bit short in the speed attempt. Questions Arise Over Robert Young's Attempt to Run Across the U.S.
Last month I told you about ultrarunner Robert Young, and his attempt to set a new speed record for traveling across the U.S. on foot. Young is currently in the middle of that attempt, and is trying to beat the previous record which has stood at 46 days, 8 hours, and 36 minutes for 36 years. To do that, he needs to run more than 60 miles per day, every day, for a month and a half, something he's being doing as he is currently on pace to beat the old record. But now, questions have begun to arise as to whether or not he is actually running all of those miles. Outside magazine first broke the story, which involves a fellow runner tracking Young's movements on his official website. That person – named Asher Dermott – posted his story to LetsRun.com saying that on June 4 he followed Young's GPS tracker as he passed through Dermott's hometown of Lebo, Kansas. Seeing that the ultrarunner was close by, he decided to head out to meet him, and perhaps run a few miles with him along the way. But when he tracked down Young's support vehicle, the runner was nowhere to be found. To support these claims, Dermott has video and photos, along with time-stamped images of the tracking page on Young's website. He claims that he watched Young's support vehicle for an extended period of time, and that there was no runner to be seen at any time. The vehicle was moving along at roughly the same speed as a runner, with the implication being that Young was inside the RV resting, while the GPS tracker was used to trick anyone following along with his progress into believing that he was actually out on the road, covering all of those miles. Because Young mostly runs at night – it was 1 AM when he passed through Lebo – it would be unlikely that anyone would notice. For his part, Young has denied the accusations and says that the accusations have had an impact on his already flagging spirits, causing his performance to drop. Over the past few days his daily distances have dropped to 50 miles (80 km), which puts him off the pace he needs to break the record. His support staff says they have been spending a great deal of time attempting to refute these claims and fight the allegations, which has cut into Young's rest and recovery periods. Young's team also said that on the night in question, the runner fell of his pace and was left behind by his support van. In fact, they say he had to borrow a cell phone from a stranger to call one of the members of the team to ask the van to stop and wait for him. They also say that ultrarunner can be spotted in security footage that Dermott obtained, but he is actually nine minutes behind the support vehicle, which is why he wasn't spotted initially. The updated video is reportedly going to be released soon to support these claims. As you can imagine, the ultraruning community has been up in arms over these revelations. There are some who are willing to give Young the benefit of the doubt, while others are siding with Dermott. Some are going back to look at previous tracking data to search for anomalies. All of this scrutiny is of course taking its toll on the runner himself. Whether or not he'll be able to overcome these challenges and continue on to Times Square in New York to break the record remains to be seen. For now, all we can do is follow along with Young's efforts and see how the evidence plays out. This could be a simple mistake on the part of Dermott, or a much larger conspiracy by Young and his team. One of the toughest running challenges imaginable is currently underway, as British ultrarunner Robert Young (aka "The Marathon Man U.K.") is attempting to set a speed record for crossing the U.S. on foot. To do so, he'll have to run more than 60 miles per day – every day – for a month and a half. 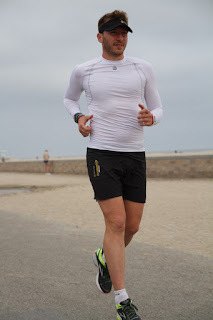 Young set out from Huntington Beach, California last Saturday, and he hopes to wrap up the run in Times Square in New York City, sometime in June. Along the way, his route will take him through California, Nevada, Arizona, New Mexico, Colorado, Kansas, Missouri, Illinois, Indiana, Ohio, West Virginia, Pennsylvania, New Jersey and New York, covering approximately 3000 miles (4828 km) along the way. To reach his eventual destination he'll have run across deserts, over two mountain ranges (Rockies and Appalachian), the Great Plains, and various other environments. As mentioned, Robert will need to cover about 60 miles per day if he hopes to establish a new record. The previous mark was set 36 years ago and stands at 46 days, 8 hours, and 36 minutes. That won't be easy of course, but the British runner has a reputation of being a phenom. Since he started running marathons in 2014, he has run more than 500 races of marathon length or longer, while setting two world records – one for most marathons run in a year and another for the longest distance run without sleeping. You can track Robert's progress on his website, and as of now he is still in California but nearing the border with Arizona. Obviously he has a long way to go before he's done, but he's already making good progress and since it is early in the run, we can follow Young all the way across the U.S.
Of course, Robert is hoping to get the record, but he's also running to raise funds for three charities. Those include Dreams Come True, the Tyler Robinson Foundation, and the 100 Mile Club.The run is also being supported by SKINS, a company that makes compression apparel for athletes. Good luck to Robert on this endeavor. It will be interesting to see if he can catch break the record that has stood for more than three and a half decades. The Hardrock 100 is one of the toughest running races in the world, covering 100 miles (160 km) of tough trail and featuring 33,000 feet (10,058 meters) of climbing. It runs from Silverton to Telluride in Colorado, crossing the San Juan Mountain Range in the process. In this video, we get a good profile of the event, which holds a special place in the hearts of many endurance runners from around the world. After watching this, you'l start to understand why.